Building a house is an exciting and nerve-inducing endeavor. Choosing the best home builder is a crucial part of the process. There are many factors to consider when choosing a home builder: value and quality are paramount when building a home. Before signing a contract with a home builder it is a good idea to contact previous and current clients for references. It is also a good idea to check out reviews online. Walking through the home builder’s model homes will give you a sense of the builders’ style. Pay close attention to the quality of work and the building products used in the home. Inquire about upgrades that have been made in the model home that may be not be included in a standard build. Get in touch with the Local Home builders association. 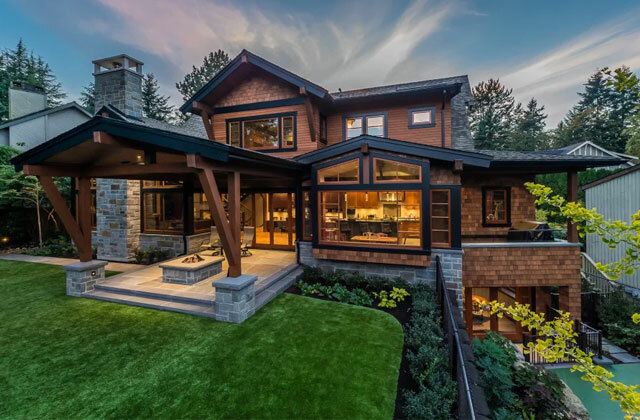 There are over 50 active home builders associations in Canada. Members of a local home builders association adhere to a code of ethics. There are options for continuing education, which demonstrates that builders are dedicating to working safely and effectively on the job site. If the builder states or shows awards that they have received, double check with the company. When working with a home builder, you want to feel that your home is a priority and that you are respected in the process. Positive communication is crucial in a good partnership. Does the home builder take time to listen to and answer your questions? Are the answers to your questions knowledgeable and transparent? They should express interests in your needs. Issues should be addressed promptly and professionally. Customer satisfaction should be a key factor in their building practices. Feeling heard and understood will make the process of building your home less stressful. Do they complete jobs on time? When considering a home builder, ensure that past projects have been completed on time. The home builder should be upfront and honest regarding the length of time it will take for the home to be completed. Speaking to previous customers will give you a good indication if the builder completes the projects on time. A good and experienced home builder will be realistic regarding your budget and timelines. The home builder should be able to give you a general timeline of when things are being completed and move in date. Ensure that the home builder offers a warranty. Generally, when building a new home, the home and most of the products and appliances are under warranty. Inquire about the length of the warranty and all that it encompasses. A home builder should be responsive to your needs both during the build and after you move in. Enquire about the kind of service to expect after the sale. A warranty provider will ensure appropriate action if a problem arises after you settle in your home. Building a home and choosing a home builder can be overwhelming. Hopefully, these tips in choosing the best home builders simplify the process and gives you a better understanding of what to look for. This article was provided to you by Philip Pasma of Hamilton Area Real Estate.